During the first six months of the year, the equivalent of 12 month’s rainfall drenched the clay soils at Reysson. By June, the cumulative effect of abundant water and intense heat triggered a vigorous growth spurt in the vines and with it exceptionally high disease pressure, taking up all our efforts. We stepped up work in the vineyard to manage canopy growth and contain the aggressive mildew, which flourishes in these quasi-tropical conditions. Two months of heatwave conditions and lack of rainfall took the pressure off as the threat of disease gradually waned. Backed by manual and technical interventions and our skilled expertise, we have adopted sustainable plant protection since 2001 and the vineyard, which is now in perfect balance, coped well in the end with the extremes of the vintage. At the end of August, veraison commenced in ideal conditions and was almost complete in the Merlots. September, bringing cooler nights and sunny days, put the finishing touches to ripening, and we harvested leisurely from 18th September to 10th October, which is an exceptionally extended timeframe for our estate. 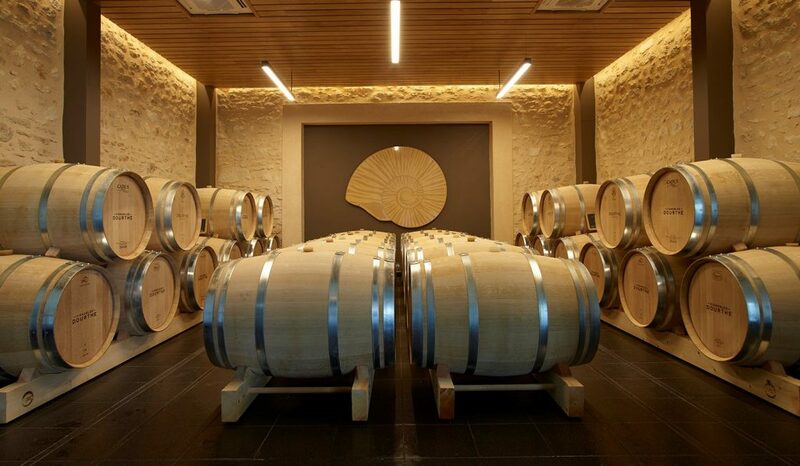 We inaugurated our recently renovated winery with malolactic fermentation in barrique for a selection of premium parcels. The water holding capacity of the clay-limestone soils worked to our advantage, and the Merlots, dominant here at Reysson, are deep in colour, intensely aromatic and fresh; the Cabernet Franc and Petit Verdot are superb. Château Reysson once again signs off a very great vintage!